• Size 5" x 7" / 15 cards and envelopes per box • Inscription: This Kwanzaa let us come together as family and rejoice in the arms of our community. May our lives be replenished by our friends and bring us prosperity and harmony in the new year. Happy Kwanzaa! 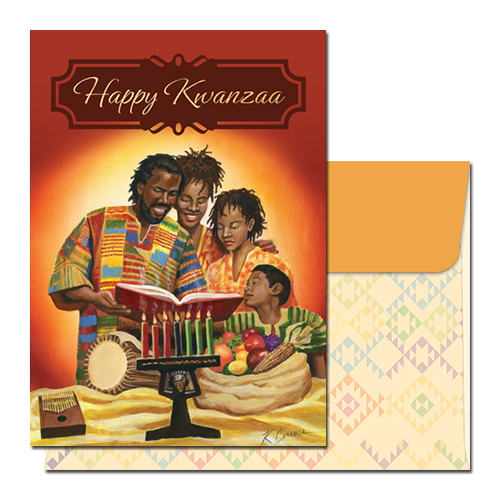 Assorted set of Kwanzaa Candle Set cards, Happy Kwanzaa cards, and Celebrate Kwanzaa cards are in this package.